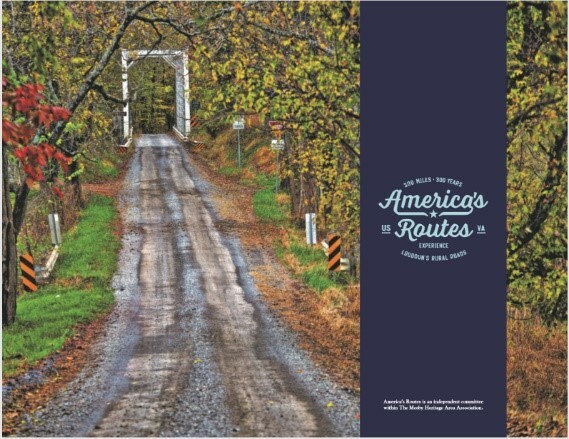 America’s Routes, a committee of the Mosby Heritage Area Association was born in the basement of a small community newspaper after two journalists and two preservationist got together and decided to start the process of documenting and educating the public about the wonderful rural roads of Western Loudoun County Virginia. This historic network of old roads that was used for agriculture are a unique America resource and do not exist anywhere else in the entire country. 300-miles laying along the Loudoun Valley next to the Blue Ridge Mountains like ribbons of history. The goal of the America’s Routes team is to not simply say why one of the nation’s oldest road networks is worth preserving, but to illustrate it. This project will produce a deep repository of maps, photography, video, interviews, and short stories to develop a comprehensive source of information on our historic rural roads. The archive can then be used in many ways to produce material to help educate and to also preserve this important historic area. This project will fill a huge knowledge gap that exists about our rural roads and can be used by future generations. We want this project to impassion people so that we may all answer the call to action. In the end this project will not just be documentation and reporting. It’s not just taking pictures, it’s do these visuals, do the stories, do they change some body’s mind enough to take action? So if we do our part, hopefully this work gets people to do their part.